St. Martin's Press, 9780312570750, 288pp. 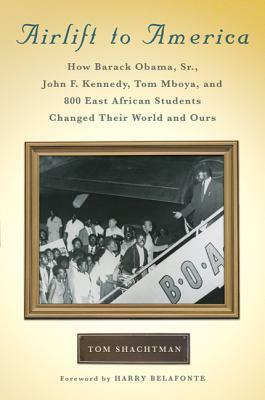 This is the long-hidden saga of how a handful of Americans and East Africans fought the British colonial government, the U.S. State Department, and segregation to transport to, or support at, U.S. and Canadian universities, between 1959 and 1963, nearly 800 young East African men and women who would go on to change their world and ours. The students supported included Barack Obama Sr., future father of a U.S. president, Wangari Maathai, future Nobel Peace Prize laureate, as well as the nation-builders of post-colonial East Africa -- cabinet ministers, ambassadors, university chancellors, clinic and school founders.